What is Preliminary MESA Day? Over 400 high school and middle school students from the greater Sacramento area compete in STEM competitions in order to qualify to attend Regional MESA Day. Here are some examples of the contests. Why do high school and middle students participate in MESA Day? 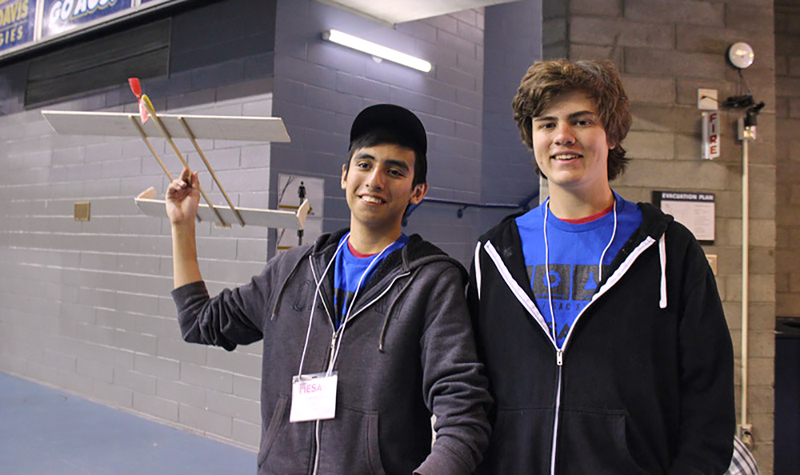 MESA Day provides students with an opportunity to apply mathematics, science and engineering principles to individual and team academic contests and, over time, to develop their mastery of these academic skills. MESA Day exposes students to other campuses, college faculty, technical equipment, laboratories and more. MESA Day encourages students to explore attending college in other locations or cities. MESA Day builds self-esteem and confidence in students. MESA Day encourages and motivates students to excel. MESA Day exposes students to leading-edge technology thus increasing their exposure to and awareness of math and science careers. Join us for the next UC Davis Regional MESA Day Competitions, where over 700 K-12 students from MESA Centers at CSU East Bay, CSU Chico, San Jose State and the University of the Pacific will all compete for Regional MESA Awards!